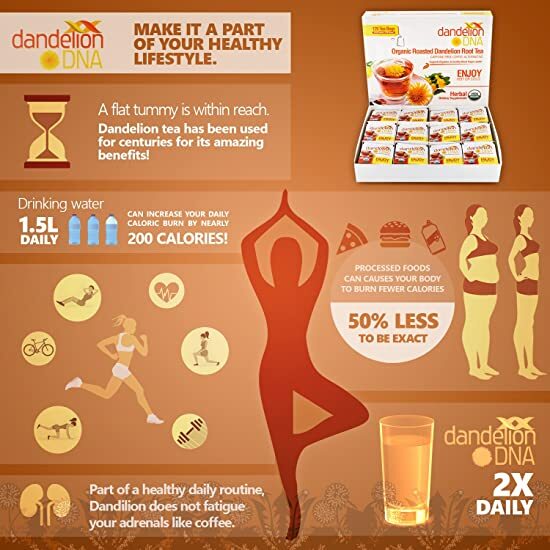 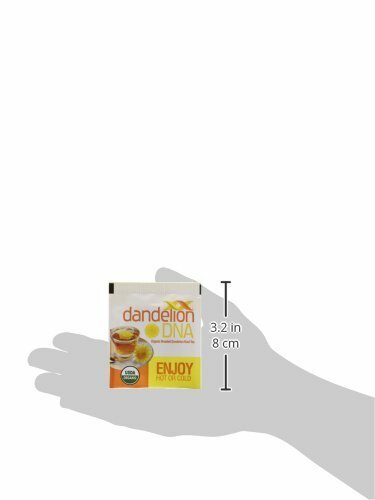 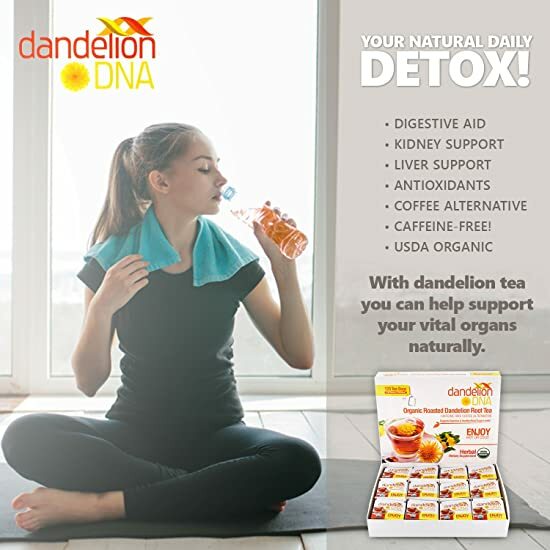 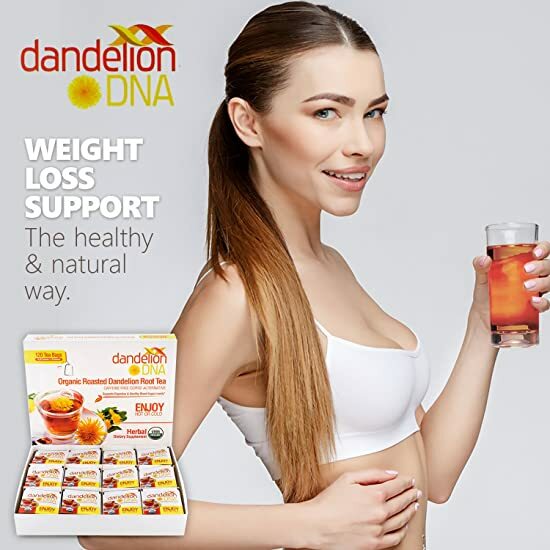 SUPPORTS HEALTHY LIVER FUNCTION, KIDNEY HEALTH & HEALTHY DIGESTION - Dandelion tea has a long history of use by herbalists and traditional medicine practitioners. 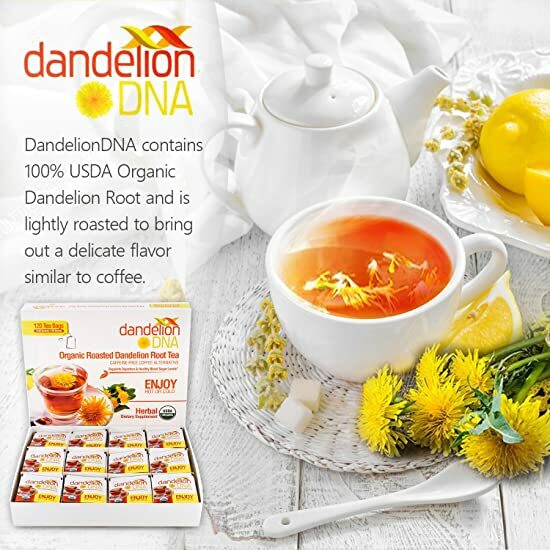 CERTIFIED USDA ORGANIC - Our Dandelion Root tea is 100% USDA Certified Organic and grown on sustainable farms. 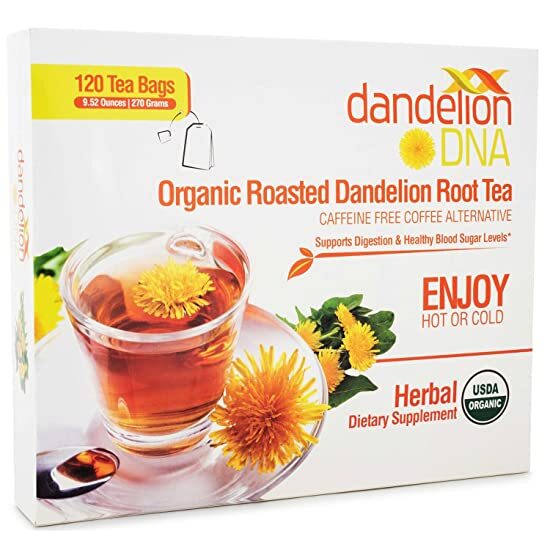 120 INDIVIDUALLY WRAPPED TEA BAGS - Each Dandelion root tea bag is individually wrapped for freshness and convenience. 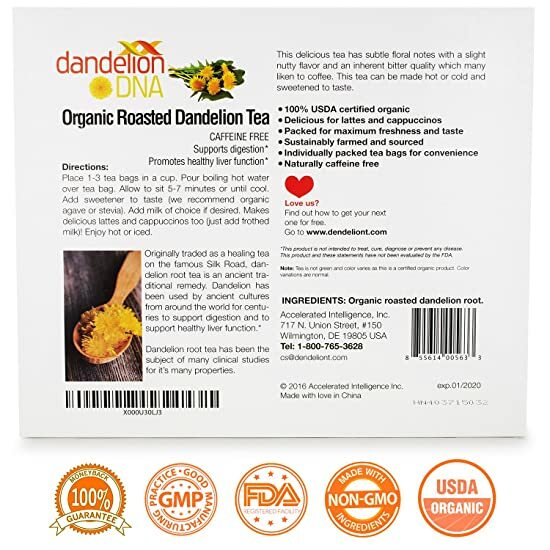 100% SATISFACTION GUARANTEE - Order in confidence - We offer a hassle-free, 100% refund if you are not completely happy for any reason with our Organic Dandelion Root Tea.